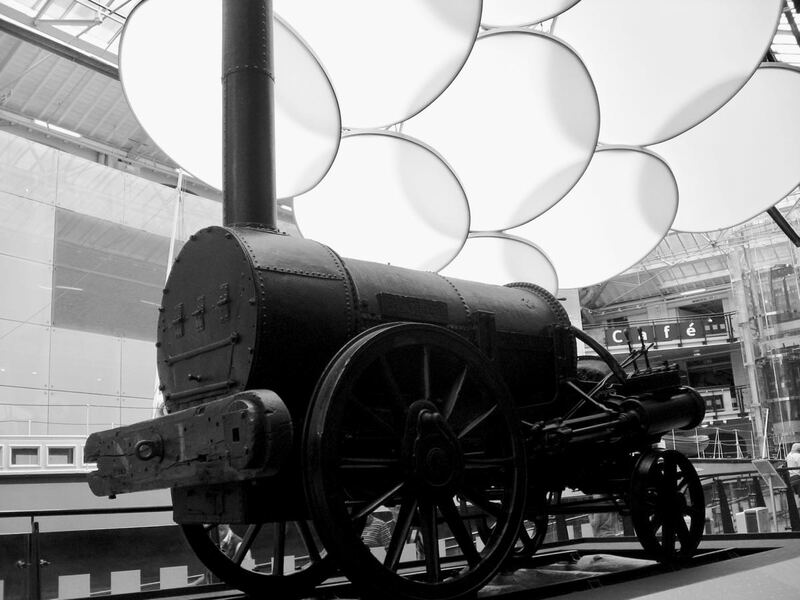 Robert Stephenson’s Rocket has returned home. 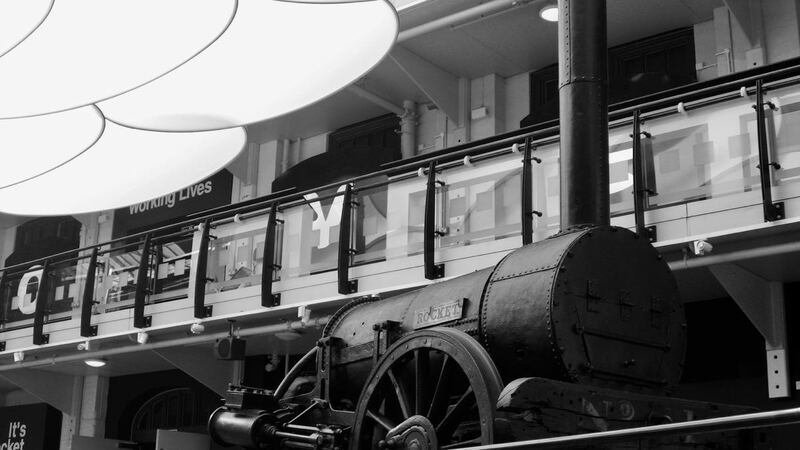 It stands in pride of place at the Discovery Museum, Newcastle, just a few streets away from Stephenson’s works. It is on loan, of course. 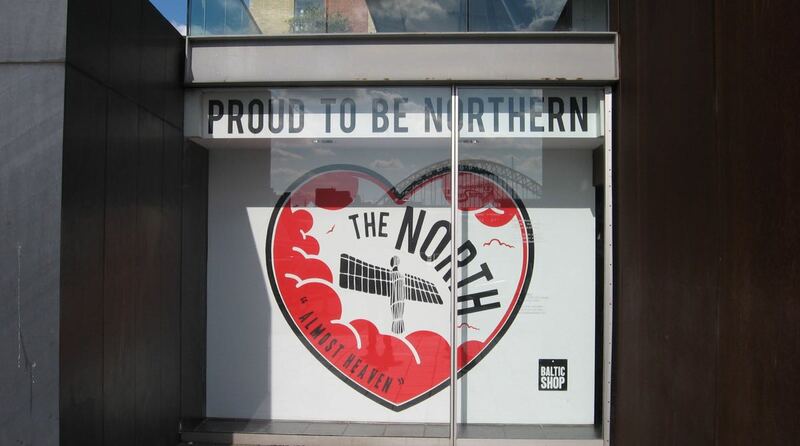 A star attraction of the Great Exhibition of the North. 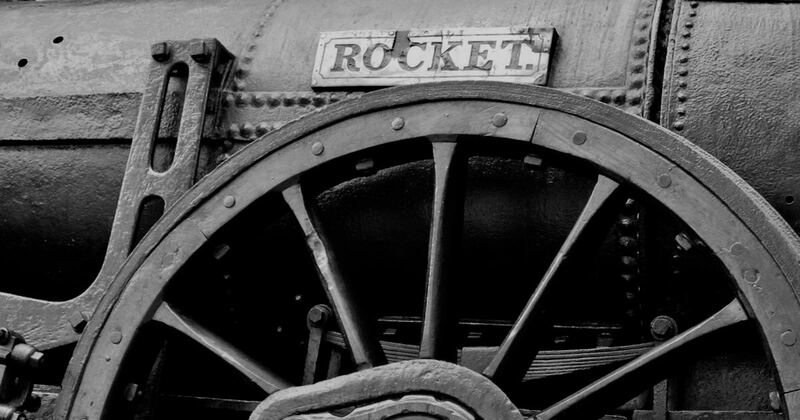 Rocket is dark and impressive: the original engine, stripped of its iconic wooden coat. Standing next to it, you are crowded by ghosts. Gasping onlookers at Rainhill in 1829, where over 10,000 people gathered to watch it compete in performance trials for the new Liverpool & Manchester Railway. The spectre of William Huskisson MP, fatally wounded at the Railway’s opening in 1830, when Rocket ploughed into his leg. I gaze at the worn wooden buffer bearing the faded legend ‘No 1’. Was it progress that killed him? Rocket too is a ghost. Both a symbol and a victim of progress. Initially, it was a pioneering piece of engineering. Combining several existing designs to transform locomotion, it heralded the rapid growth of the railways and a new age in passenger travel. But technology never stands still. 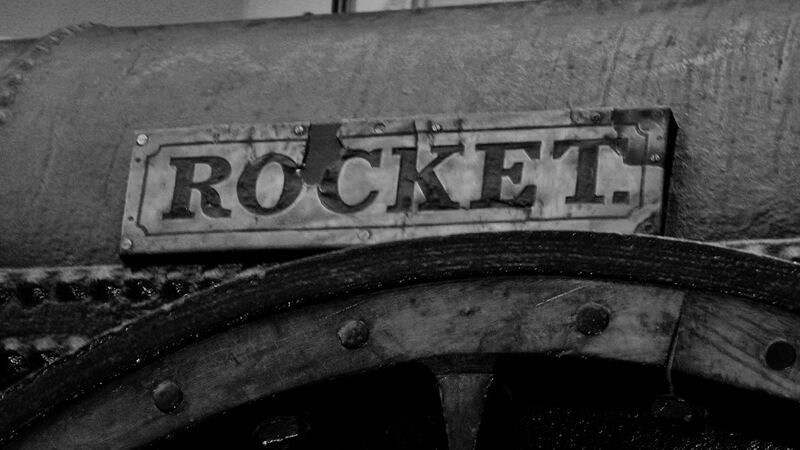 Rocket was modified and improved within the first eighteen months of its working life. Newer, more efficient designs soon emerged and Rocket was sidelined. 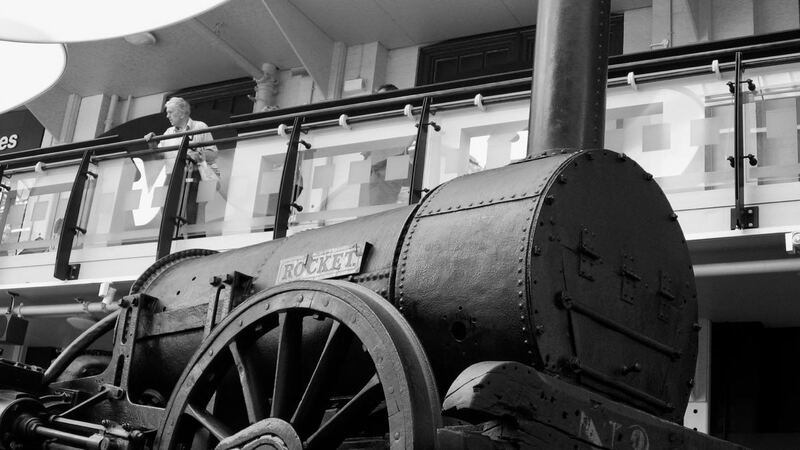 Within a few years of its dramatic debut on the Liverpool & Manchester line, Rocket was relegated to hauling coal on the Brampton Railway. By 1840, it had fallen into disuse. 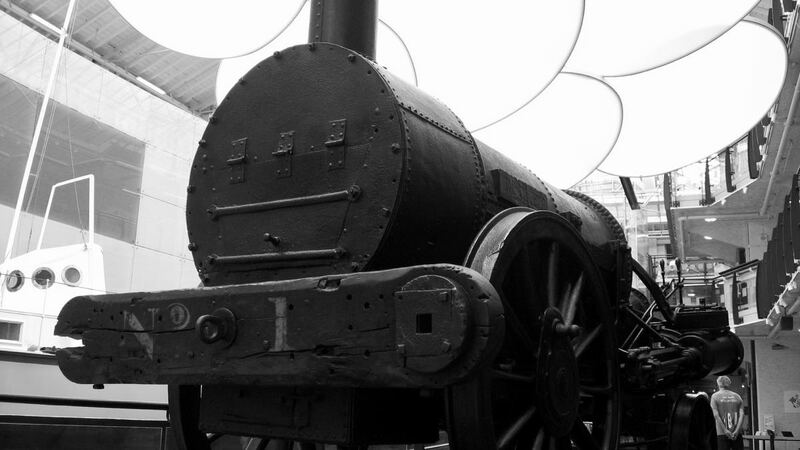 It stands as a shadowy monument to itself, while its working replica at the National Railway Museum in York trundles around in its bright yellow coat. I like the dark, worn body of the original; the stories that swirl round it like steam. And seeing it here, I feel proud of my city. A city where great ideas are born. Ideas that change the world. Who knows what you could create here or how swiftly it could travel? 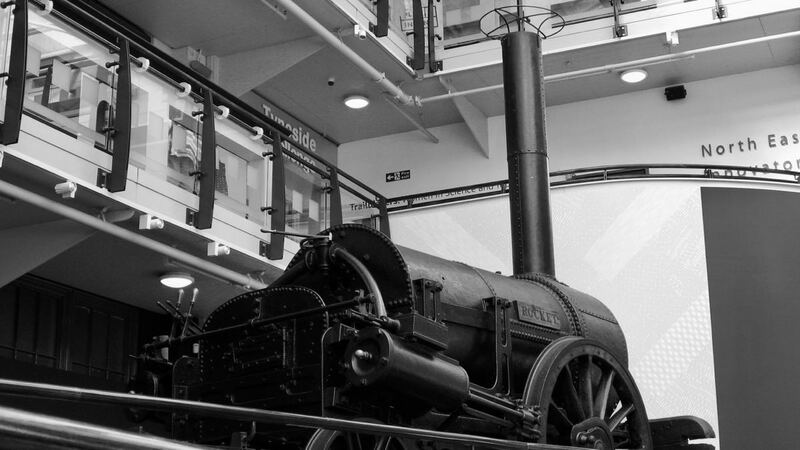 Stephenson’s Rocket is on display at the Discovery Museum, Newcastle, until 9 September 2018.